Rumor has it that the Samsung Galaxy S10 trio will support reverse wireless charging and now there’s some solid proof. 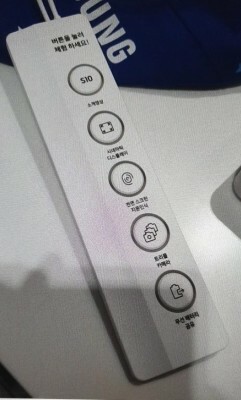 This photo of what seems to be a demo booth (the top label reads “press button to experience”) shows that this will be one of the major features. The first three buttons play an introductory video, then one about the cinematic display and one for the in-display fingerprint reader. Next up is the triple camera and the reverse wireless charging. That’s how important a feature this is, it’s right behind Samsung’s first flagship triple camera. A question remains about what tech it will use. The Huawei Mate 20 Pro uses Qi for its reverse charging, but neither the Galaxy Watch nor the Gear IconX earbuds support Qi (not PMA either, the other wireless standard used by Samsung phones). We'll know on February 20 when the Galaxy S10 goes official.